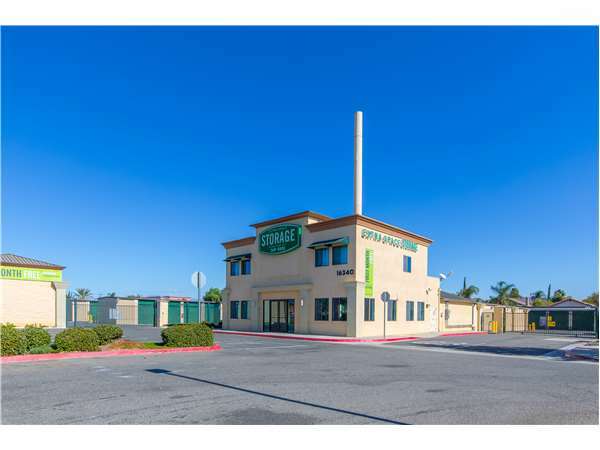 Located on Perris Blvd between Iris Ave and Krameria Ave, Extra Space Storage serves residents of Moreno Valley, Edgemont, Lakeview Hot Springs, and more. Locals will recognize our facility south of Val Verde Academy, Del Taco, Carl's Jr, and Walgreens. We feel very secure keeping our valued posessions stored at this facility. Managers are very friendly, accomodating, and helpful. They have gone out of their way to help us when we needed immediate assistance (even outside business hours) THAT'S WHAT I CALL SERVICE! Thank you! I definitely appreciate the courtesy reminder phone calls before assessing a late fee to my account. This is really helpful since I haven't been able signed up for the automatic payment program yet. Thanks Extra Space Storage! Always been very nice & professional, very helpful. This was my first time ever using a storage facility and I must say I made a great choice storing with Extra space! The employees we're polite and kind the facility was clean & spacious. The price was just right! Everyone was friendly informative and had you in & out. I had an over all Great experience. I would not recommend using this place. We lost hundreds of dollars worth of stuff. ( snow boards, TV, down quilts and pillows, ect...) First it was missing things, later there were holes in our unit big enough for body's to go in and out.... We paid for insurance so we'll see if the pay us back fairly. From 60 east to I-215 South- exit at Ramona Expressway and head east. Drive 1.3 miles to Perris Blvd. Turn left on Perris so you are going north- drive 2.6 miles and Extra Space Storage is on the right side.End at 16340 Perris Blvd - Moreno Valley.